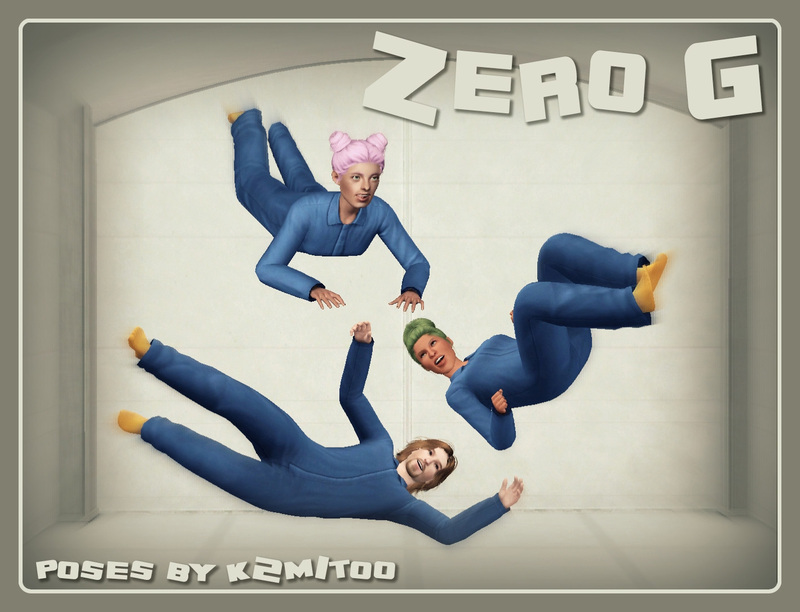 This tiny collection of poses was inspired by photos from Virgin's Zero-G Flight (aka "The Vomit Comet"). All of the poses are relatively low to the ground. For the photos, I used OMSP to raise the posed sims to desired heights. The jumpsuit used is from Ambitions - it's the ghost hunter uniform.